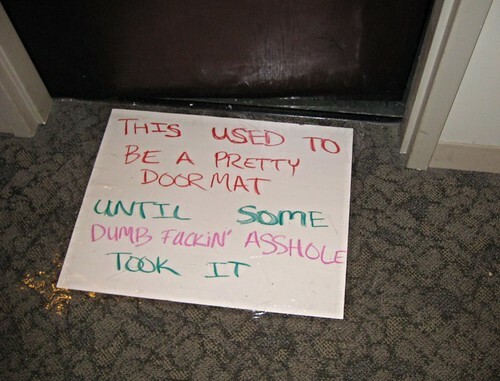 Voting for the stolen doormat! Happy bday gets it for me. Ooof. #3 – The birthday card with the message crossed out. The crossed-out graduation card is by far the worse because it’s such a personal insult. All the others are from strangers or work colleagues. Coffee. 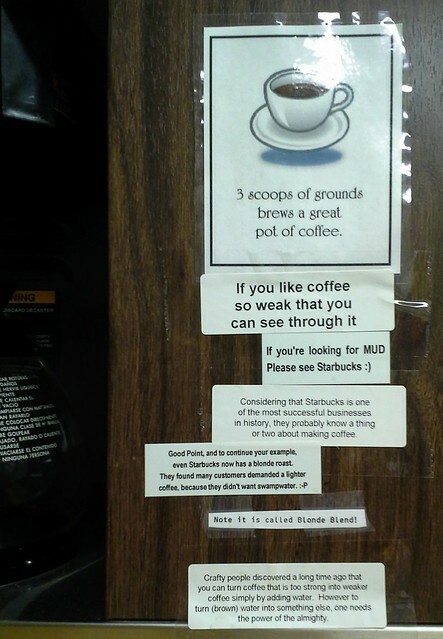 The last comment of the coffee war says it all. “I’m not creepy” Creepy next. Then the first with the creepy non-creeper. I’m going with apologies for the extended lifespan. Still makes me laugh. Crossed-out birthday first, although the yearbook messages are a close second. Funniest though is the Happy B’day on the sympathy card. He picked the wrong time to not read the card! I’m going a write in ballot for the Halloween Scrooge. 1. Crossed out birthday card. 1. 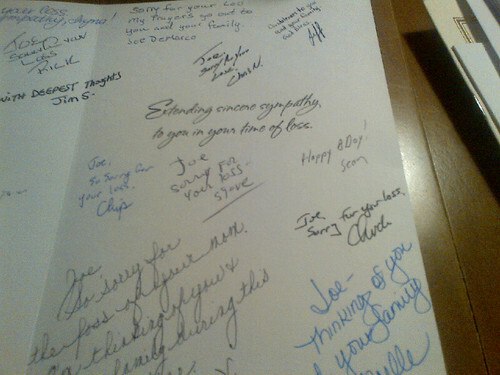 The sorry for your loss card where someone wrote happy bday. What could be worse than that? 3. The coffee wars is also pretty wonderful and obnoxious. The coffee argument is like a party that never ends! Congrats! Now you can brew your own coffee the way you like it. 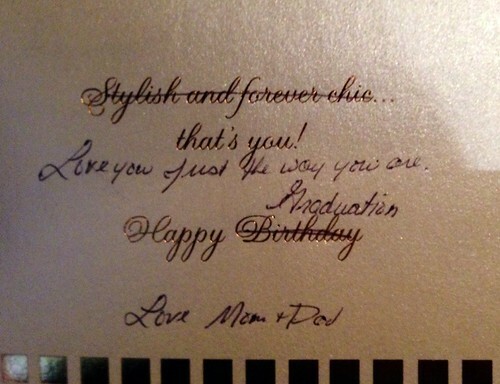 The card with ‘stylish and chic’ crossed out. 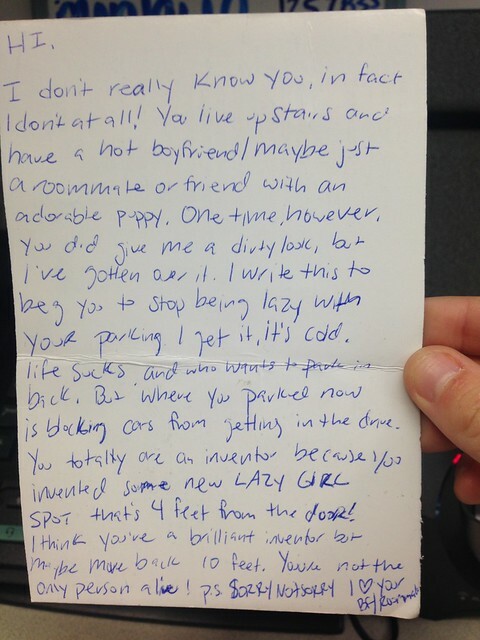 I like the winner to be a true passive aggressive and that one takes the cake. Right? Doesn’t get more PA than lining out the words that were printed and then writing Love you just the way you are, inferring you are neither stylish nor chic. Wow. The “birthday” card from Mom and Dad is the worst. The year book messages are the most painful because I’m pretty sure I have something like this in one of my year books. The “thank-you” note from Amy is priceless. 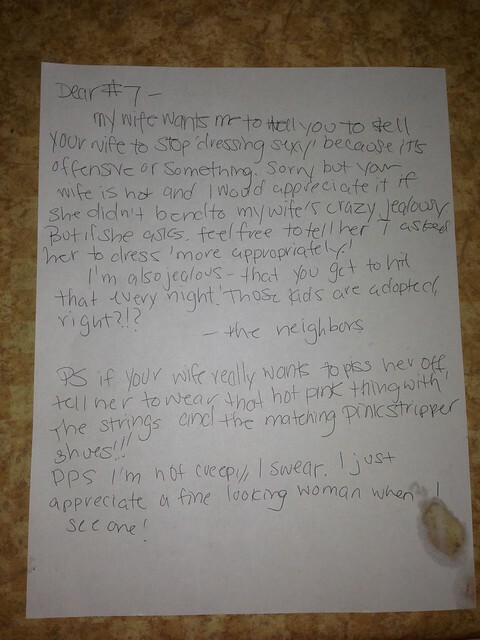 No 6 about No 2 is awesome, too. It’s no vegan roommate, but I have to give it up for the Happy “Birthday” card. That’s a special kind of not giving a damn that really doesn’t ever need to be said. But they’re all special, from special people. 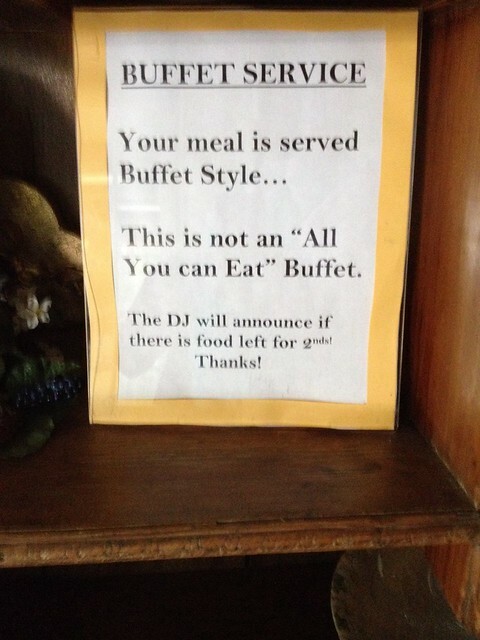 I almost went with the balcony just because the sign looked so professional. No. 1 — I’m not creepy, I swear — because it paints vivid images. Second choice is coffee wars — because the nerds went to so much trouble to print out their kvetching and paste it to the machine. 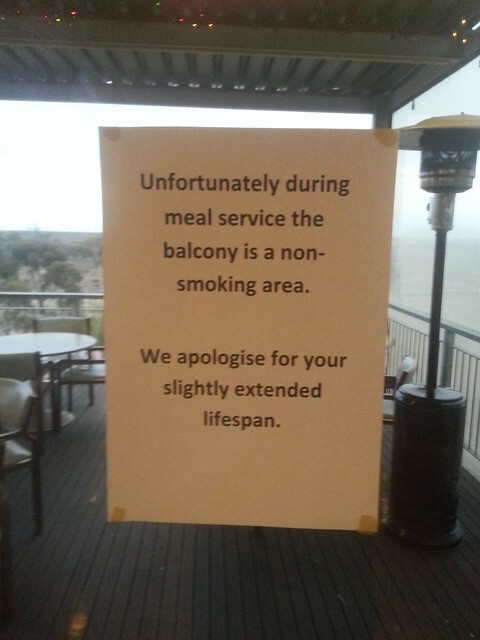 Third choice — nonsmoking balcony. 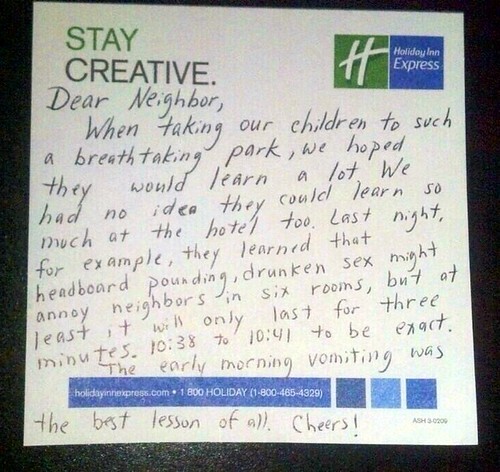 Over-the-top passive aggressive, with some contorted grammar and absent punctuation. Or, I could vote for the power-walking pooper. That is unique … at least to me. It SHOULD be unique. Sadly, one thing Passive-Aggressive Notes has taught me is the shocking level of misunderstanding regarding appropriate places to poop. Yeah, or take a wee. I realize I was kind of out in the country, but the guy that was weeing in his front yard yesterday could have at least completely turned his back to the road. Number three, the graduation card. The one with “stylish and forever chic” crossed out. The birthday/graduation card. PA parents are the worst. 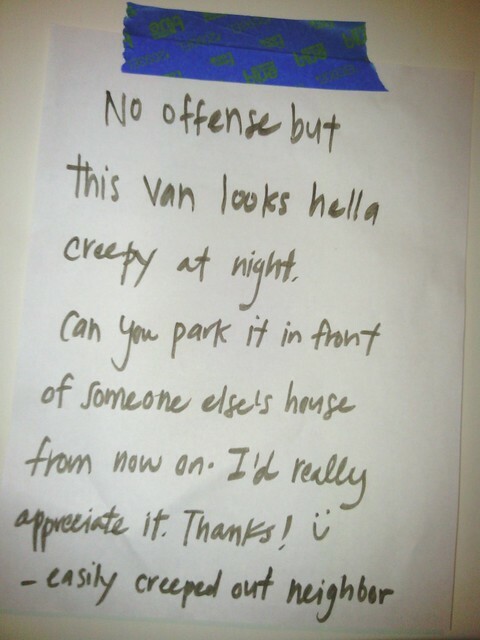 Creepy Van Creepy Van Creepy Van!!! I have to vote for the hot boyfriend with the cute puppy note. Voting for #1. The merely sarcastic amuse me. The creeps creep me out. That birthday/graduation card comes a close runner-up. It isn’t even anonymous. Ouch. The not-creepy creep in #1 definitely qualifies as douchecanoe of the year. I loved reading the coffee wars, but these notes are more amusing than douche-y. 1. the birthday/graduation card. Ouch. 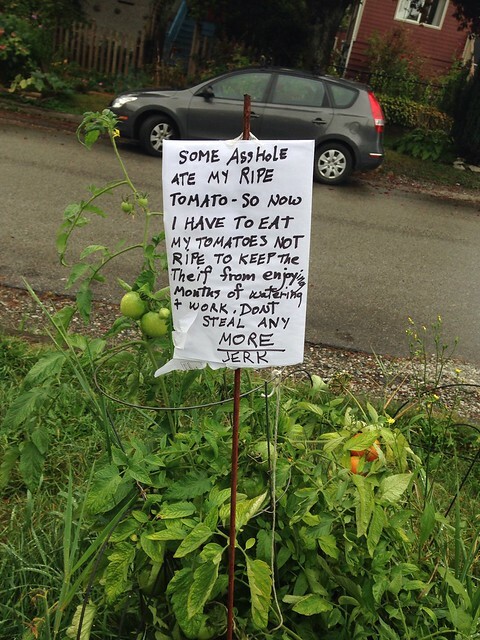 Most of the rest are too heartfelt (I am sad for the angry tomato sign person!) or clueless enough to lose douchebag points, and I kind of love the creativity of coffee wars – although whoever thought there’s any similarity between a light roast coffee and a weakly brewed dark roast must be a 3-pack-a-day smoker or something. haha very funny. Number 10 is my favorite! 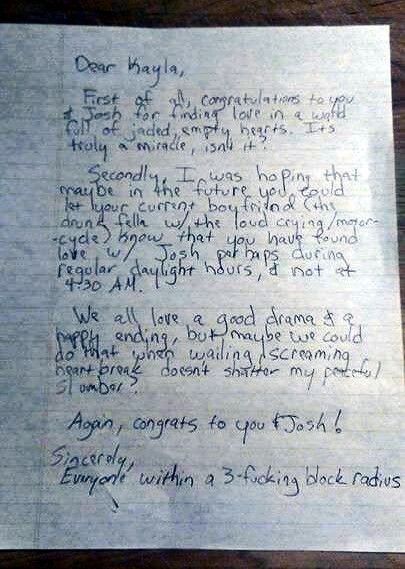 The one congratulating Kayla on having found love with Josh is my alltime favorite among the notes on this site. Oh man. Some of these are really good, but a lot of them aren’t written by douches (rather the person it’s directed at is the douche, and they just responded tactlessly). Going with #1 for biggest douche though. What a creep. Runner-up vote #3. #3, then #1, and then it is a toss up between between #11 and #13.